Sony has revealed that Heavy Rain will be available to play on PlayStation Move motion peripherals starting on September 22nd. 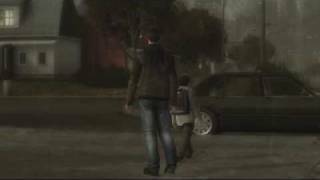 In addition, the Heavy Rain Move demo will be released on the PlayStation Store during the following week on Tuesday, September 28, 2010. This is a free standalone demo that features two of the early levels from the game, Sleazy Place and Crime Scene, and is fully playable with the PlayStation Move. For those who already have a copy of the game, a Heavy Rain Move patch is scheduled for Wednesday, September 22, 2010. This patch will allow current owners of Heavy Rain to play the game with the new PlayStation Move controls and experience a whole new way of playing.